The Alliance has been working to protect the Greater Chaco region from unchecked and unplanned oil and gas development for years. Our request to halt all drilling in the Greater Chaco region while our lawsuit makes its way through the courts was recently denied, but we appealed the decision to the 10th Circuit where we are hopeful for a better outcome. 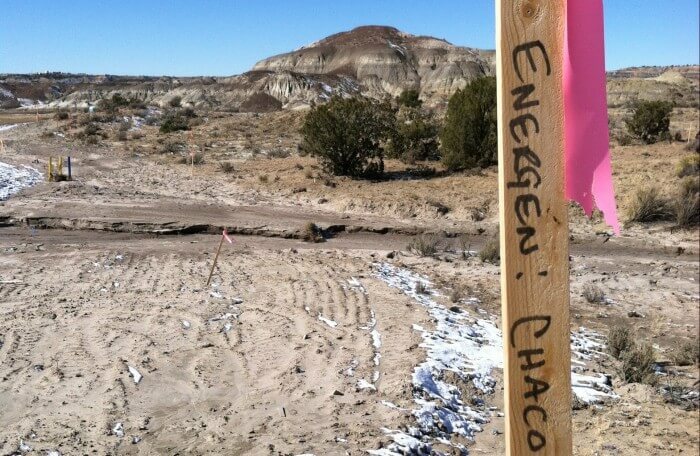 SANTA FE, NM — Hopes for a respite from a fracking boom plaguing Navajo and public lands in New Mexico’s Greater Chaco area were thwarted Friday when a federal judge failed to grant a temporary halt to drilling. 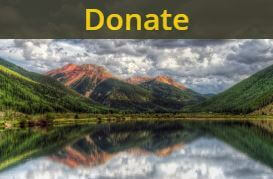 Despite the lack of environmental review or a comprehensive plan for fracking in the area, the Bureau of Land Management will be allowed to continue to grant hundreds or even thousands of new permits to drill and frack the area. BLM has never studied the impacts of fracking on local communities, the area’s unparalleled cultural history, or to air, water, or the climate. 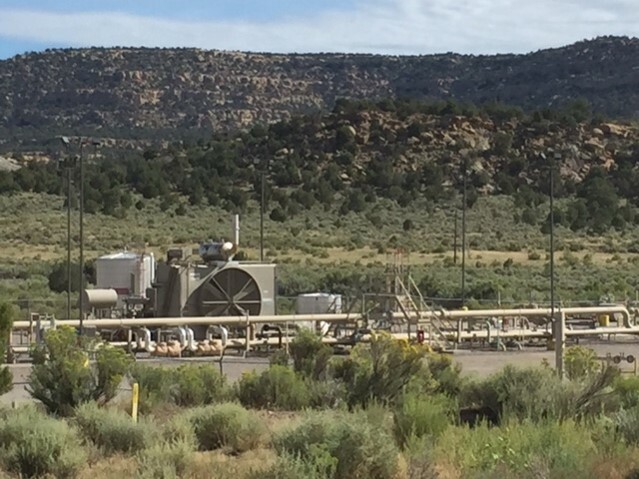 To address this shortcoming, a coalition of Navajo and environmental groups requested a preliminary injunction to put a stop to the drilling, which they believe violates the National Environmental Policy Act. While no final decision has yet been made by plaintiffs, an appeal of today’s ruling is likely. Environmental organizations that filed for the preliminary injunction will continue challenging oil and gas development in the Greater Chaco area and will increase oversight of individual oil and gas projects proposed by BLM. The Greater Chaco area is home to Navajo and other communities living amid extensive new oil and gas development that threatens their way of life. The area is also home to one of the country’s most important archaeological sites, Chaco Culture National Historical Park. Extensive ancestral Puebloan ruins throughout the landscape make this the ancient cultural heart of the American Southwest. “We are dismayed by Friday’s decision from Judge Browning because full-scale, unregulated oil and gas development continues to impose devastating impacts on human, cultural, and environmental resources on Dinétah (Navajo homelands) and surrounding areas,” said Colleen Cooley of Diné Citizens Against Ruining Our Environment. 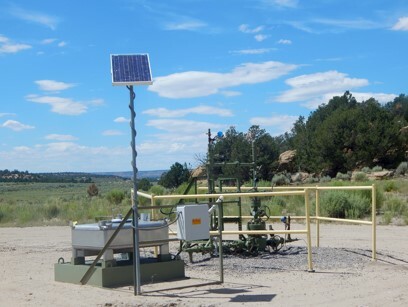 Today’s ruling comes not long after Senator Udall and top Interior Department officials visited the area and vowed to assure that serious impacts from fracking would be held in check. Previously, BLM had placed a 10-mile buffer around the National Park to prevent further leasing, but refused to place limits on new permits to drill. 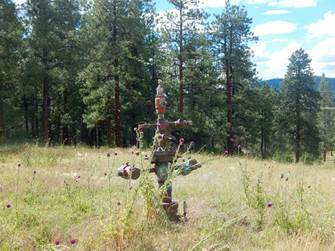 The park superintendent has asked that the buffer be made permanent. 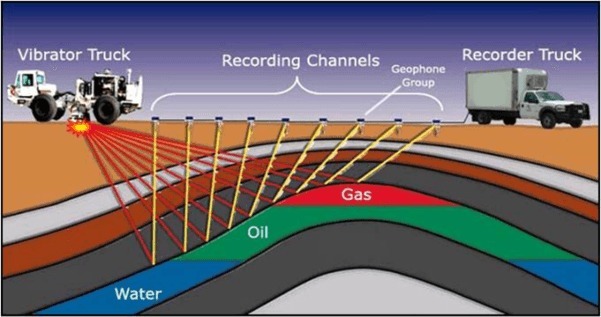 An intensely industrial form of fossil fuel development, horizontal drilling and hydraulic fracturing, or fracking, has besieged the region with dangerous truck traffic and a vast network of new roads, oil tanks, pipelines, flares and fracking equipment. BLM’s drilling plan for the area would allow thousands of fracking permits, forever changing the character of the region. While the ruling may not have favored public interest, a growing coalition of groups continues to call for leadership in protecting Greater Chaco from fracking. On Tuesday, youth will deliver 160,000 petitions to New Mexico congressional delegation offices in Santa Fe and Albuquerque requesting a moratorium on fracking in the Greater Chaco area. The plaintiffs in the lawsuit are Diné Citizens Against Ruining Our Environment, San Juan Citizens Alliance, WildEarth Guardians and Natural Resources Defense Council. Attorneys from the Western Environmental Law Center and WildEarth Guardians represent the groups. Where is the oversight of the BLM? We need land stewardship from this department and yet time and again we see compliance to big money interests. Totally unacceptable. What can I do to help? Unfortunately the Farmington BLM Office acts more like an arm of the Oil and Gas Industry than a public agency. We have appealed the decision and are hopeful for a better decision in the second round. What can you do to help? 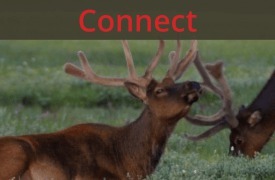 Under Get Involved – Take Action on our website, there is a petition you can sign letting the BLM know how you feel. They need to hear from citizens that this is an important issue and we are going to hold them accountable. And of course, support the Alliance. We’ll keep you posted on next steps, meetings, and ways you can take action. Thanks for you interest and support!